Ford S-Max Running Costs, MPG, Economy, Reliability, Safety | What Car? The S-Max undercuts equivalent versions of the Seat Alhambra and Volkswagen Sharan, although it looks a little pricey compared with the Vauxhall Zafira Tourer and Volkswagen Touran. Vignale models, meanwhile, are way too pricey to recommend. Running costs are a long way from class-leading, with the most efficient 2.0-litre diesel models pumping out 129g/km of CO2. That’s more than the lowest-emitting versions of the Citroën Grand C4 Spacetourer and Zafira Tourer, meaning the S-Max will cost you more in company car tax. On the plus side, the S-Max has pretty strong resale values and the best-selling 148bhp 2.0-litre diesel managed a reasonable 43.6mpg in our real-world True MPG fuel economy tests. 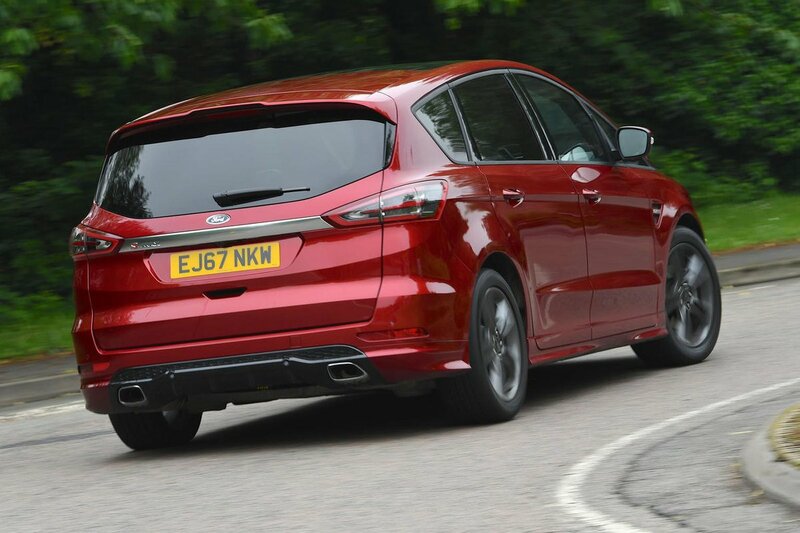 We’d stick with entry-level Zetec trim because it is attractively priced and still gets you alloy wheels, front and rear parking sensors and the 8.0in touchscreen infotainment system. The only options we’d be tempted to add are metallic paint and – if you do a lot of motorway miles – cruise control. Titanium models get cruise control as standard and add keyless start, automatic lights and wipers, and built-in sat-nav. This trim carries a premium, though, so isn’t such good value for money. Still, if you like lots of toys in your MPV, it's a good choice. ST-Line is too pricey to recommend. It gets a host of sporty visual upgrades inside and out, plus heated front seats and rear privacy glass. It’s the same story with the range-topping Vignale model. Yes, it counts fancy leather seats with contrasting stitching, 10-way electrically adjustable front seats and keyless entry among its features, but they’re accompanied by a sizeable price increase. 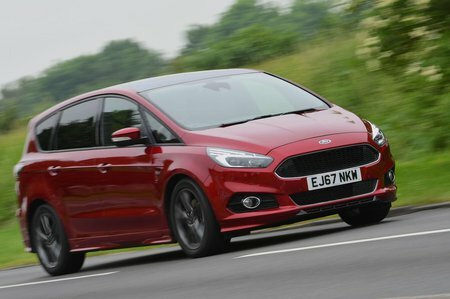 In our latest reliability survey, Ford was placed a very respectable ninth out of 32 manufacturers featured; by comparison, close rival Vauxhall finished mid-table. 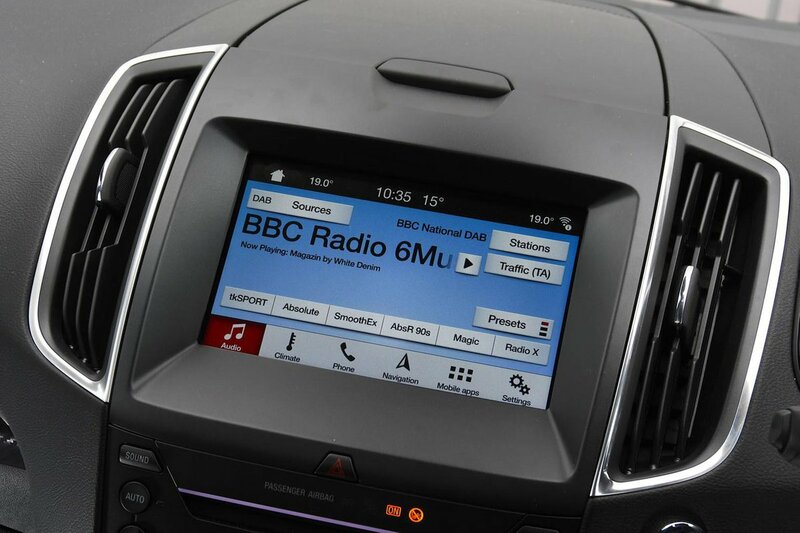 Like all Fords, the S-Max comes with a three-year, 60,000-mile warranty and one year’s breakdown cover. This is comparable with the cover provided by most car companies but falls short of the seven-year, 100,000-mile warranty you get with Kia. Front-seat occupants are protected by front and side airbags, plus the driver gets a knee airbag. There are also window airbags that cover the first two rows. It’s disappointing that these don’t stretch to the third row, however, like they do in the Peugeot 5008 and Seat Alhambra. The S-Max scored the maximum five-star rating in its Euro NCAP crash test. However, it's disapointing that you have to pay extra for automatic emergency braking. All versions of the S-Max are available with an optional system that warns you if there’s a vehicle in your blindspot or if you begin to wander out of your lane on the motorway. Titanium trim and above gets lane-keep assist and traffic sign recognition. Security equipment is comprehensive; every S-Max comes with an engine immobiliser, alarm, deadlocks and remote central locking.